You know that saying “the best-laid plans of mice and men often go awry. No matter how carefully a project is planned, something may still go wrong with it” well that was certainly true for last Sunday’s Live Social. So here’s a little recap. I knew what I wanted to say, I had a few important upcoming changes that I wanted to get out and the theory was a live broadcast would be the most effective way. I also decided a live tutorial would be a nice treat. Anywhoo that didn’t happen. Firstly, I blame my boys! 😜 just before going live I had a ton of technical issues with my laptop.. updates! It seems everything I time the dam thing in it needs to update something. Not a huge problem but the sucker punch was my laptop decided that was the time to tell me my memory was jammed packed. Typical. So I scrambled to find my iPad and it’s extended arm to hold it in place with 5 minutes before going live. It was that exact time my little devil screams “mom I needs snacks, mom I can’t find my shoes” and the hubby decides that would be a great time to start vacuuming. Really!!! Sunday Social, Live was placed on the family calendar a full week before and I told them numerous time that very morning. Well I made it just in a nick of time but feeling very irritated. A couple of deep breath s and I was ready. To cut it short, my iPad holder snapped and despite the lovely encouragement from the members to find a make shift stand I could do the tutorial. A new external memory has been purchased, and research into a new iPad arm is underway and hopefully next time I will have better luck. Announcing the new Pippin Knitters Club. 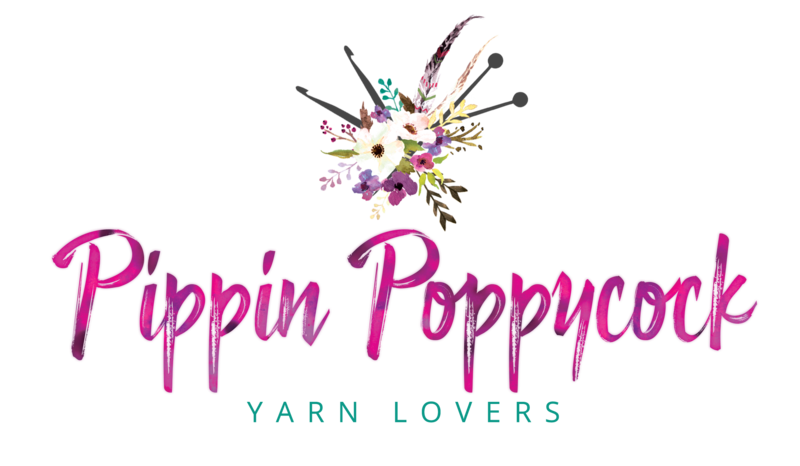 Recreating the very special vibe that we have made with the Pippin Crochet Club but for knitter. Suitable for any level of knitter. I’m a beginner so the group is being run by the lovely Michelle Messenger and her friendly admin team. Over the coming months the website will be undergoing a redesign. Please be patient. There are only so many hours in the day. I will try and get it done as quickly and smoothly as possible. The Arizona pattern will be optimized for better viewing. All parts will be in one central place instead of 8 different pages. Website will have a new knitting area.